Zeiger, Tigges & Little LLP looks for law students that have exceptional credentials and want to make an immediate impact. We provide each new associate with the tools they need to develop professionally, but we also believe that it is best to learn by doing. We expect our first year associates to take on substantive work from the very beginning. In a firm of our size we count on contributions from all members. 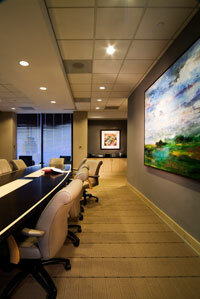 As a result, you will be involved with large scale litigation from the very beginning. We make it our goal to provide a challenging work experience, which provides ample opportunities to grow and develop as an attorney. We generally hire new associates through our summer associate program, however we do hire attorneys to begin immediately following law school and passage of the Ohio bar exam. When the need arises, these opportunities are posted at each of the law schools where we conduct our summer associate recruiting. If such a position is posted, please follow the procedures of your career placement office to apply. If we do not recruit on your campus or no opportunities are currently posted and you wish to be considered for a First Year Associate position with our firm, please send a resume and cover letter specifically addressing your interest in our firm to: recruiting@litohio.com. Compensation for a first year associate is competitive with the top firms in Columbus. We continue to be conscious of the marketplace and regularly evaluate compensation to ensure that we meet what the market demands.